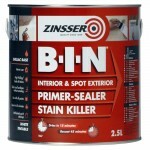 Removes Zinsser BIN and most other types of dried on paint with ease. More effective than White Spirit. 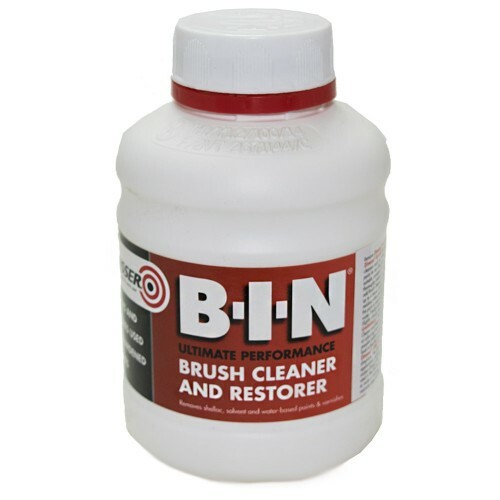 Contains powerful detergents that break down paint for an ultra clean finish. 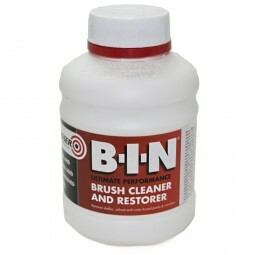 No overnight soaking required, simplly soak for 4 hours and periodically agitate to loosen dried on paint. Once paint is removed, rinse thoughroughly under warm running water. Shake off any water reidue and hand to dry. 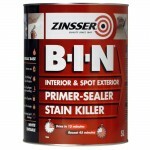 The Zinsser BIN Cleaner may remove colour from the brisles. This product is not suitable for use on 2 pack paints.